There is a lot of confusion around Medicare enrollment dates, and being late can mean paying penalties the rest of your life. Your initial Medicare enrollment period hinges on your 65th birthday. You have a 7-month window to enroll, and it includes the 3 months before your birthday, your birth month, and the 3 months after your birthday. It’s not automatic, and you need to go through the Social Security Administration to enroll. It’s a great first step toward staying healthy. It can seem as if our bodies are designed to become more fragile as we age. While a certain amount of decline is inevitable, it’s important to stay fit. Exercising appears to help keep your mind and body sharp, reduce your risk for falls, improve strength and flexibility, and give your mood a boost. It also seems that staying fit can ward off illnesses, help you maintain a healthy weight, and even avoid Alzheimer’s. If you aren’t comfortable joining a gym, there are numerous fun, easy exercises you can do inside. Simple strength training, such as squats, push-ups, and resistance band exercises, can be done in your own home, and you can work alongside videos or use a Wii game system for aerobic activity. Always discuss your personal circumstances with your doctor before beginning a new fitness program. According to some research, most Americans want to stay in their homes as they grow older. Traditionally-styled homes often leave a bit to be desired when it comes to aging in place. However, thanks to technology, you can make your home more senior-friendly pretty easily. HomeAdvisor explains there are smart home modifications available to fit every budget, and that assist seniors with a wide range of issues. There are health monitoring systems which can alert family members or emergency services if you have an issue, doorbells and security systems to alert you to visitors and keep you safe from intruders, and devices that can be motion or voice activated, such as lights that come on when you enter a room. It’s a simple way to improve comfort and independence at home. Beyond smart home devices, there are several options available for seniors who want to feel more comfortable and remain safe at home. Bathroom safety is particularly important, since the water and slick surfaces can lead to dangerous falls. Thankfully, there are numerous products that can help, such as night lights, grab bars, shower chairs, and toilet seats with arms. Another area of concern is the kitchen. 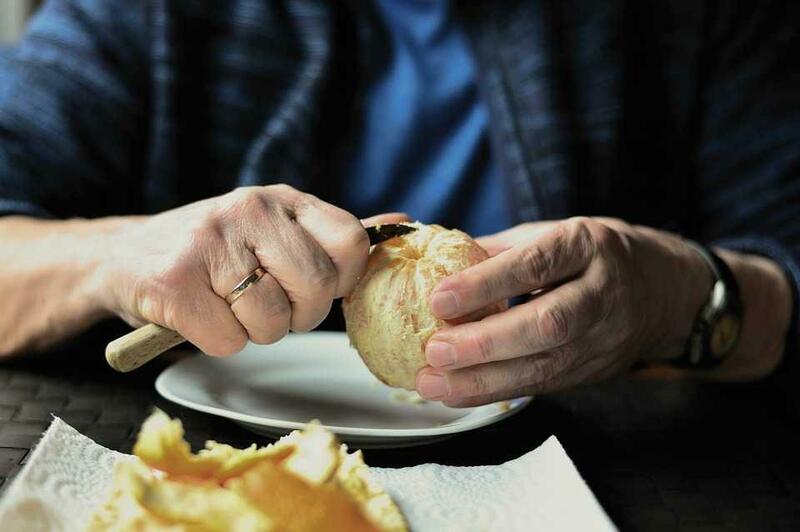 With sharp objects, whirring blades, and heat, seniors can struggle to safely prepare food. To stay safe and comfortable while you work, consider adding a few senior-friendly kitchen gadgets, like ergonomic can and jar openers, an anti-fatigue floor mat, cut-resistant gloves, and a well-chosen kitchen timer. With a few inexpensive additions, making meals can be easier than ever. Eating a balanced diet is important for ensuring you stay happy and healthy throughout life. Make sure you consume foods high in omega-3 fatty acids, like salmon, walnuts, and tuna; calcium-rich foods, like cheese, yogurt, and leafy green veggies; and fiber-filled foods, such as fruit, whole grain bread, and brown rice. When it comes to aging, a few changes can make a world of difference in your comfort and independence. Ensure you have health care coverage, take care of your body, and make a few helpful additions at home. Your golden years can be the happiest and healthiest of your life simply by making good choices. Continue reading about 10 more healthy habits to adopt this year.